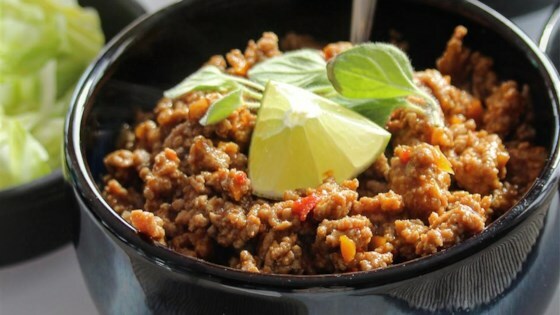 "This recipe has fewer calories because of the ground turkey and amazing flavor! It is a little spicy, but our family enjoys it this way. Because it has so much flavor, you cannot even tell it's not ground beef. It tastes great as a topping on baked potatoes as well as tacos. Enjoy!" Good weeknight dinner. Instead of water, I added beer.